Image Access large format just went one step further! The WideTEK® 60CL is the fastest 60 inch color CIS scanner on the market, scanning production quality images at 15 inches per second in grayscale or 8 inches per second for 150 dpi in full color with 24 bit color depth. 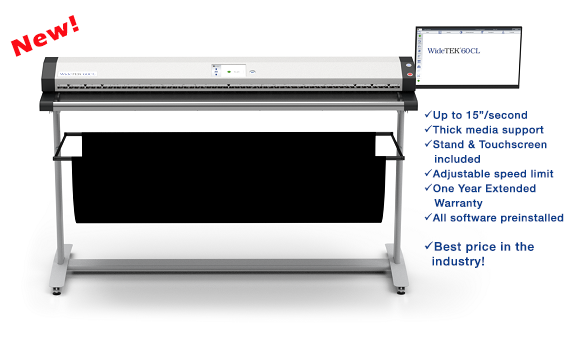 At the full width of 60″ and 600 dpi resolution, the scanner still runs at 1 inch per second. When required, scanning speeds can be limited to scan fragile, valuable documents. 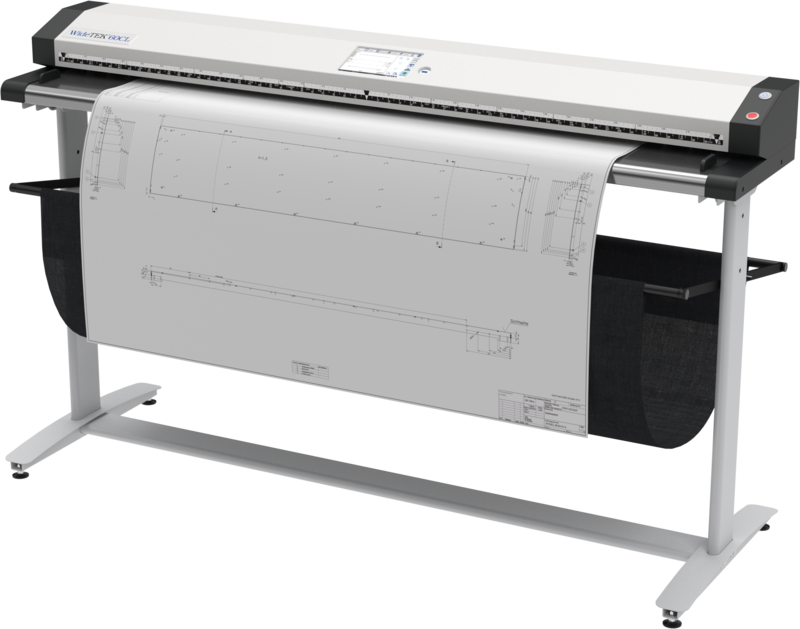 Standard for all Image Access wide format scanners is that the paper path is stainless steel and glass only, making it anti-static, low friction, easy to clean and easy to replace if ever necessary. The WideTEK® 60CL scans face up and always at full speed, which is far more productive than the face down scanning that competing CCD scanners still do. Face up scanning also poses the least stress on the surface of the document and the scanning glass. The manually operated thick media control allows the user to adjust the thickness and consequently control the impact on the document. In addition to the 21″ full HD touchscreen and the ScanWizard software, the WideTEK® 60CL features an additional center-mounted 7″ WVGA touchscreen for direct scanner control. Already known for its unmatched image quality, it is no surprise that this WideTEK scanner comes fully equipped with on board ICC profiles, closed loop profiling software, extensive image manipulation and cleanup functions, scan templates and many other features at no extra cost. The scanner ships bundled with a 60″ floorstand, the powerful ScanWizard software, a 21″ full HD touchscreen, a built in PC and one year of Full Coverage Warranty; which covers even the scan glass and the transport drums. The Batch Scan Wizard and various PrintWizards for most wide format printers are the only options not included.